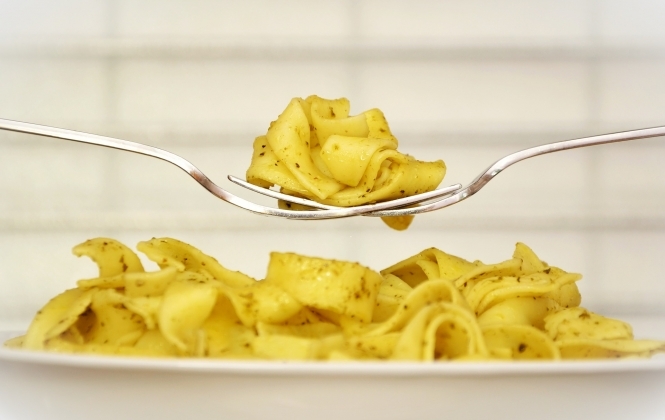 Adding a splash of olive oil during cooking and a sprinkling of salt after cooking are among the deadly sins of pasta preparation, says a leading food scientist. 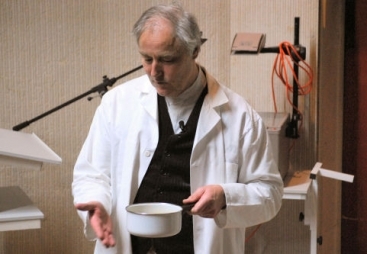 Talking to The Connexion from his laboratory at the International Centre for Molecular Gastronomy AgroParisTech, Hervé This, the godfather of molecular cuisine (which he says is now dead) bases his culinary teachings on pure science drawn from many experiments. He has tried adding the oil, to no avail. “It serves no purpose, as the water and oil do not emulsify in the pan, so the oil just stays on top,” says Mr This, the man who nearly 30 years ago began to examine how food cooks, inspiring the likes of Ferran Adrià and Heston Blumenthal (whom he calls his ‘students’) to embrace a scientific approach in the kitchen. If kitchens around the world today are littered with siphons for foams, sous-vide machines for slow cooking meat, and other expensive, high-tech equipment, Mr This (pronounced ‘Teess’) was a major influence. Waiting for the water to be properly boiling is also essential, so as to respect the cooking time set out on the pasta packet. Occasional stirring is another must, to prevent the pasta from sticking together. When it comes to cooking time, Mr This has some controversial words for what he calls ‘culinary terrorists’ who insist that pasta must be served this way or that, including al dente. However, he adds, the basic structure of pasta does change if overcooked. “Pasta is generally made of wheat flour, ie. gluten and starch [complex sugar]. On contact with boiling water, the starch swells, allowing glucose to escape.” Thus slow sugars almost become fast sugars – and the pasta becomes far less easy to digest. Mr This has been collecting and deconstructing housewives’ cooking tales, proverbs and tips for decades (he calls them his Précisions Culinaries, current count: over 25,000) and seems to relish debunking received culinary wisdom by the use of scientific fact. Now, though, he says molecular cuisine is all but dead. “I want to kill it,” he says quite forcibly. His new passion is for what he calls ‘Note by Note’ (musical reference) cooking – taking the scientific approach to food preparation even further by using compounds to create dishes from scratch. Instead of going to an ingredients cupboard for plant and animal “fibres”, he sees the future chef as someone who mixes “raw” compounds. Ingredients might include water, ethanol, sucrose, amino acids and lipids - the preparer more a sorcerer than a cook. Such a revolutionary approach to cuisine faces many challenges relating to the final dish’s aesthetic appeal, taste, odour and structure but there is a bigger picture here relating to energy and ecology. Mr This knows that food transport is costly and harmful, so why not remove the (often very high) water content from fruit and vegetables before moving them around? If Note by Note cooking is to take off in the mainstream, Mr This feels that a daring young chef – and not one of France’s old school chefs – needs to drive the theory from lab to dinner plate in a commercial environment. He cites Andrea Camastra at the Senses restaurant in Warsaw as a prominent current pioneer. “Go to Warsaw, it’s crazy,” he says of the culinary scene in the Polish capital.